It’s a wonderful feeling, looking out into your garden on a beautiful summers day and seeing a gorgeous garden, rich with healthy turf and plant life. Of course, it isn’t something that comes for free and certainly requires a bit of effort and maintenance on your part. 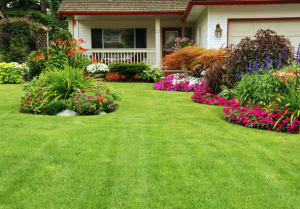 In this post, we’re going to share a few handy tips which can help you maintain a healthy-looking lawn without a care. It might sound silly, – ‘what better a time to cut the grass than when they sun is shining?’. That’s not to say that you should wait for a miserable day to do it, though we would advise that you wait until the day cools down a bit and that perhaps the sun is behind some clouds. Simply put, your grass will lose much less water when it is cut this way. 2 – Recycle Your Grass! Allowing the freshly cut grass to sit on your lawn is a great way of providing your lawn with all of its fertiliser needs. Naturally, the finer the grass cuttings the easier it will be for them to decompose. You can either invest in a mulching lawnmower or simply replace your blades. That being said, you can overcome that by simply cutting your grass more regularly before it gets too long. Everyone has a routine when they mow their lawns and tend to stick to a logical pattern. However, this can lead to ruts and compacted soil which will invariably end up with you having an unhealthy lawn. If you want to avoid this, mix it up when you mow and frequently change direction. You might look like a madman, but you might enjoy it all the more! It’s not always easy to keep on top of it, but if you want to have a healthy-looking lawn at all times then the key is consistency with care. Regularly mow your lawn and take the necessary steps and you’ll have nothing to worry about. Its always a bit awkward when having a mow grass on a sloping area, though if you do have to tackle this make sure that you mow across the slope as opposed to up and down it. Also, remember not to do this after it has been raining, the last thing you need it to slip when you’ve got the mower going. 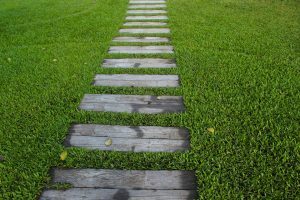 If you are interested in having your garden re-turfed entirely for a fresh start, we would recommend getting in touch with a reputable company such as A View Turf. High-quality turf, plenty of variety and professional, efficient installation services.